For the client it is important not only if your website is functional, but also how it looks. Clients are attracted by well built and good looking websites as they see professionalism and tend to trust such websites more with their money. To change some of the layout of your store which is not dependant on your WordPress theme or settings you will need to access the Presentation tab of your store via Settings>Store>Presentation. Here you will see a total of 35+ settings you can configure to make your WP eCommerce Store to look better and be easier to navigate through. 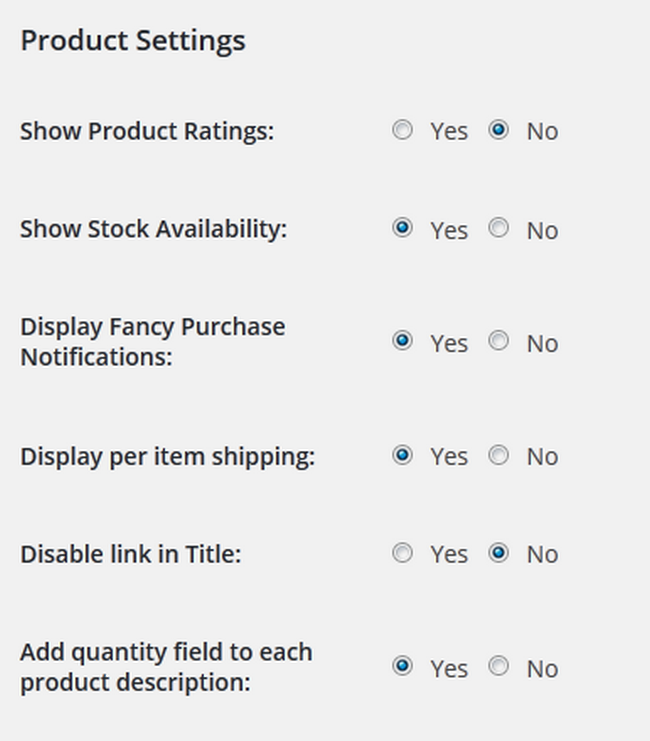 Here you can configure the Cart buttons on your website. You can setup more than 10 different options regarding the product’s details. You will also have the option to edit the thumbnail size for your product’s images and decide whether you want to show the thumbnails or not. 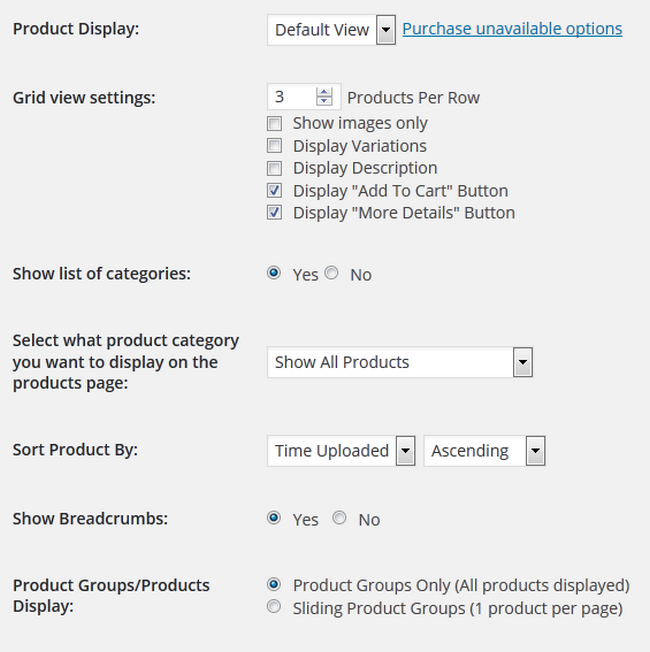 With this configuration form filled out you are now ready to start adding products and open your store.